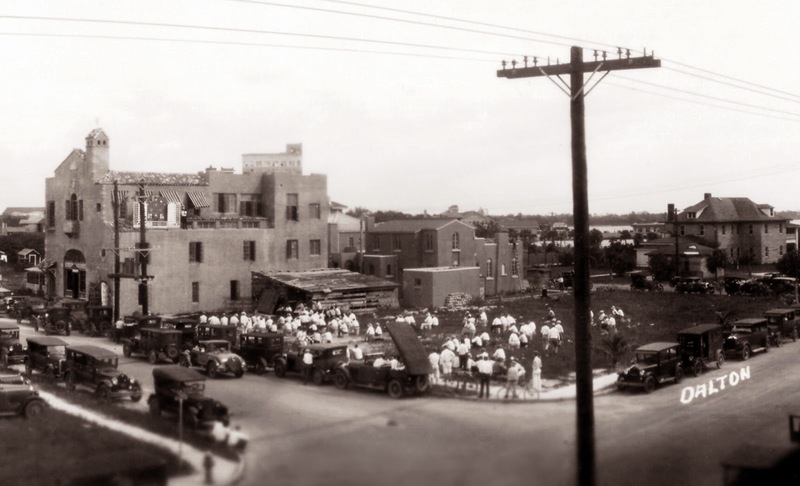 In 1927 citizens and visitors gathered at the corner of today's Tamiami Trail & 1st Street to listen to the radio broadcast of major league baseball. Did you notice the scoreboard on the 3rd floor roof? Did you notice what people are sitting on? The Houle Block Company was across the street and blocks were dragged across the street to use as seats. The Owen Burns residence is on the right. In the 1920's Owen Burns built a home for John J. McGraw, manager of the New York Giants on Sarasota’s bay front. The residence was designed by Thomas Reed Martin.